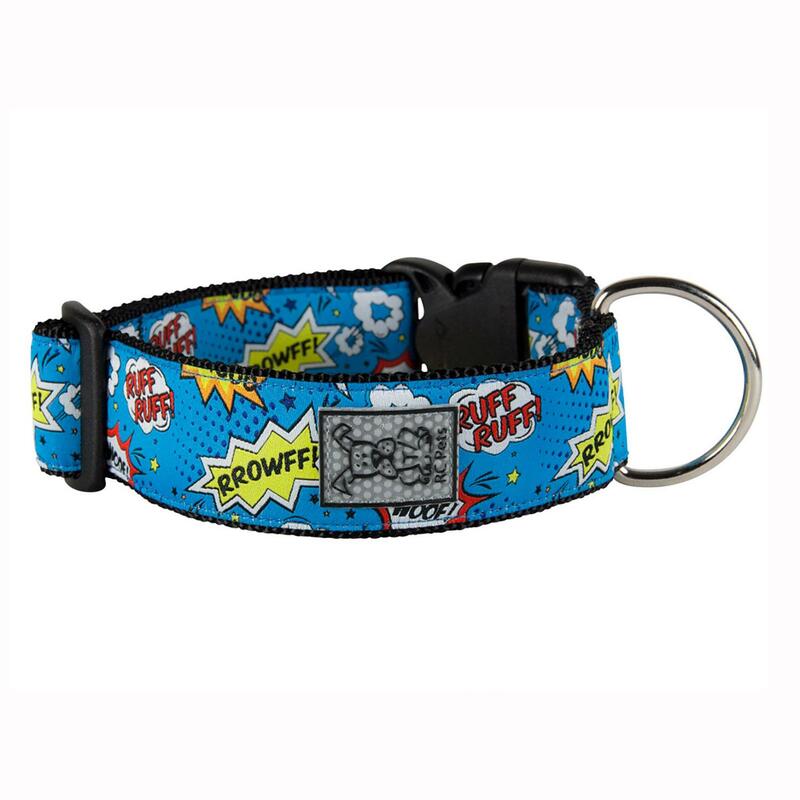 Your dog will love the southwestern style and comfort of this high-quality Comic Sounds Wide Clip Adjustable Dog Collar from RC Pet Products! 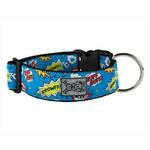 The Comic Sounds Wide Clip Adjustable Dog Collar is great looking classicly fun collar. A fully adjustable clip collar that is comfortable and easy to put on or take off. The extra wide collar stands out even on bushy haired breeds. This collar features an original RC Tape pattern, nickel plated hardware, and a reflective label for nighttime visibility! Matching leash sold separately. Prices are amazing! I too was looking for something for my dog when your website came up. I have a cocker spaniel, in the winter I spend so much time pulling little snowballs off her fur when she comes in out of the snow. Out of curiosity I wanted to see if they made snowsuits for dogs. I couldn't believe it, not only snowsuits, everything and anything I will ever need for her. Like everyone else, my experience with the process of ordering was very simple. Their boot selection, wow, that's my next purchase! I bought the full snowsuit with a hood, the hood and back legs unzip for the change of seasons. The quality was much better than expected -- it not only keeps her warm but no snowballs to pull off! I also bought an "adopt a pet" collar, fleece hoodie, sweatshirt hoodie (even has the pocket you would see on a real hoodie). They really do make you feel like you're part of their family, personally wrote thank you on my order also, even using my first name. You DON'T get that kind of customer service anymore. I'm a very happy customer for life, and tell everyone to check out this website. My Vet even loved her suit, and I left a business card on their cork board.